This deck's intent is to provide a newer player--new to Commander, new to Magic--a beginner deck they can use to play. 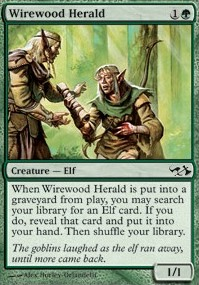 At most this hopes to be an introduction to Commander through Magic's most classic Green tribe: Elves. 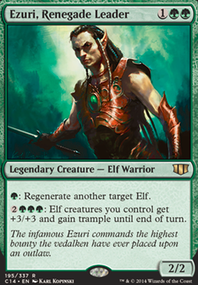 Elves is great for tribal decks and can be ramped up for a tuned meta (known as the combo deck "Elfball"). Primarily this deck will be geared for an aggro strategy with the ability to build into a non-combat win through Helix Pinnacle . The deck has a mix of new and old cards, providing topics for conversation throughout the match from older players who recognize some of the amazing elves throughout Magic's history. The deck could use some more removal in case the meta calls for it, but should have decent card draw. Mass removal will always be the bane of this build, but hopefully older players can help the new pilot recognize over-committing to a board state. Cheers and best of luck! Enjoy!